Back in 2014, I jumped into the world of Lenormand but it didn’t stick. It was mainly due to the fact I couldn’t find a deck that I really connected with. I tried a few out, but nothing felt right. It felt like the pool of decks to pick from was fairly slim in the modern style genre and they all leaned towards a specific style. The ones I really wanted were hard to find and out of print. I’m all for tradition but when it comes to my decks, I like them to be a bit different. I like quirky, modern and lowbrow and my deck taste is very similar. 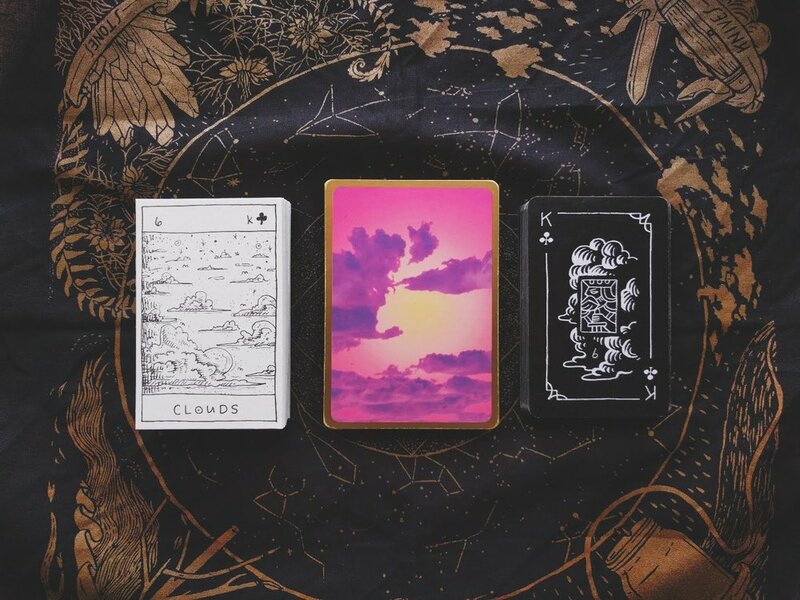 The one deck I really wanted was Titania’s Fortune Cards by Titania Hardie… but it was hard to find and when I did find a deck online, it was expensive. So with that, my Lenormand interest fizzled out. I guess I sound a lot like a little kid screaming “I want a pony”. I dipped my toes back and forth in the Lenormand waters over the past 5 years and tried a few decks here and there. It wasn’t until I purchased the second edition of the Blackhand Lenormand last year that got me actually wanting to get serious about learning! So, here I am, dipping my toes back into the Lenormand waters and this time… it feels just right! I’ve had the Blackhand Lenormand for almost a year, so obviously I didn’t jump right in… I had way too much on my plate to pick up another study but it’s time, oh yes, it’s time! Also, I finally got my hands on that early printing of Titania’s Fortune deck I mentioned and I’m in love! Speaking of Lenormand decks, I’ve been a bit hush on the blog as to what I’ve been working on lately. I have created TWO decks! The first is a Major’s only Monster Arcana, and I created my own lenormand deck called The Monster Lenormand… because the world needs more monsters and fun lenny decks! I’m planning to make my Monster Arcana major’s only deck a full deck in the end, but so far the major’s are all done and I will be getting that printed in the time being, along with my Monster Lenormand. More on that in another post! Right now I’m getting cozy with the card meanings and I’m also playing more with card combos to get familiar with how the cards work together. I’ve been getting in the habit of pulling a daily 3-card spread each morning. Some readings have been creepily accurate, always love that! The only other system that tends to get creepy like that for me is playing card cartomancy, another favorite but I haven’t picked up my decks in a bit! I only have three lenny decks right now and I kinda like my small collection, though I have like 4-5 on my wishlist that I hope to order down the road. Lately, all I want to do is mess with lenormand, my poor tarot cards have been getting pushed to the backseat a bit this past week from it. I’m just fascinated by the system and how it all reads. It’s slowly getting easier to piece the sentences together so that they actually make sense. I would like to combine lenny and tarot more, still trying to figure out what feels good with that combo! All images and content © Copyright 2018 Radical She Tarot. All rights reserved.